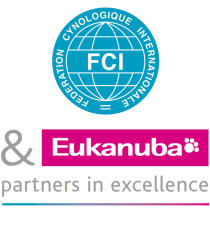 Interview with Philippe Blanchart, in charge of animal welfare in Thuin, the city where the FCI headquarters are located and the World Capital of Dogs! Mr Blanchart, it was a great pleasure for us here at the FCI to learn that Thuin now has a person in charge of animal welfare. On 14 August 2013, Thuin town council took the decision to give me responsibility for animal welfare, in addition to my role as chairman of the town's Public Centre for Social Welfare (CPAS, Centre Public d’Aide Sociale) responsible for the elderly. It is an honour for me to again have this responsibility as part of my role, enabling me to continue the work started several years ago. Since when has there been such a position in Thuin? Or are you the first incumbent? If so, what feelings does this conjure up? The position has existed since 2006, and I was the first incumbent. Mrs Dutrieux, the Director General of the municipal administration, drew my attention to the newly created position and I jumped at the opportunity. Animals have an increasingly important role to play in society, and they are no longer just “man's best friends”. In my mind, while there are a number of public health issues involving animals (dog faeces, dangerous animals, pigeon contraceptives, etc. ), there are also many positive aspects involving respect for animals in general, including wild animals, such as any help we can give to wounded animals. What priorities will you be setting? As the person in charge of animal welfare, I initiated a scheme in Thuin in 2011 promoting the planting of “bee trees” - i.e. trees attracting bees with their fragrant nectar - as a way of protecting the town's bee population. A lot of this was conducted under the Maya Plan (a plan to protect Wallonia's bee population), though a further aspect involved discussing the planting of “bee-trees” when companies set up shop in the region. I am proud to see that this Maya Plan is still very much “in” as regards the municipal authorities. In the context of my work as a Belgian MP, I also find myself sometimes having to speak on animal welfare issues. The Belgian government's declaration on animal welfare for instance follows the example of other European countries which already have good regulation in this field. Examples include the mandatory identification and registration of dogs, and bans on keeping foxes for their fur, on force-feeding, and on performing painful operations on animals such as caudectomies on shire horses or the tail docking and ear cropping of dogs. Our country is often cited as a good example with regard to our legislation on animal welfare in zoos, on the identification and registration of dogs, on the ban on keeping certain types of mammals (our positive list), on the decree on animal surgery or on the ban on advertising dogs and cats for sale. In the same vein, in the field of protecting laboratory animals, stricter measures have been taken, especially with regard to the training of staff working with such laboratory animals and to the ban on animal experiments for the production of monoclonal antibodies. What initiatives specifically target dogs? In my time as acting mayor of Thuin, we made the town the World Capital of Dogs, in collaboration with the FCI. A further move was to include a number of clauses in the municipal byelaws on the issue of animals on public thoroughfares, including a section on dogs and their owners. Last but not least, this year will see us launching an innovative scheme in a nursing home, where residents will have the opportunity to meet visiting dogs. What funding do you have available and how is it allocated? For most of our work, no money is needed (except for the dovecotes). It's much more a case of a willingness on the part of the town authorities to generally take account of animals. Thanks to various partnerships and our willingness, we have been able to implement a number of measures. On 26 April 2011, as part of the FCI's centenary celebrations, Thuin was declared the World Capital of Dogs - as a result of your motion put to the town council (at that time you were acting mayor). What projects has this decision engendered? In July, the town council voted to hold an exhibition of dog sculptures executed by FCI member countries in a venue in Thuin. As already stated, we also organise ad hoc meetings between the residents of Gai Séjour (the local nursing home) and dog-owners. A new idea here in Thuin, it helps demonstrate the benefit deriving from the presence of animals, thus contributing to residents' well-being. Another project currently being set up involves an annual “dog walk” (organised in partnership with the Tourist Office) bringing together dog-owners. Finally, Thuin schools are taking part in a drawing contest with a view to holding a European exhibition in August 2016. How did dogs enter into your life and what was your first dog? My grandparents kept dogs, and I was very attached to them. As a child, I found a dog an animal with which I was able to communicate and to build up a relationship of trust. My first dog - I must have been 10 at the time - was an Irish Setter called Sky. I now own a Saluki. I don't have any particular favourite breed. Generally speaking, I like hunting dogs - especially their look and their energy. What do you get from your four-legged friend? A sort of indescribable telepathic harmony, though there's also the emotional aspect. And it's great to interact with a dog, playing with him or taking him out for a walk. You are now actively responsible for animal welfare; what about the feeling of well-being animals give to people? These days we increasingly hear of the therapeutic effect an animal can have on a person, as seen for instance in hippotherapy (working with horses) and dolphin therapy, two examples combining different aspects: physical and psychological, but also emotional and relational. Or look at life expectancy. This will increase when an elderly person has a dog to look after, as owning a dog involves certain obligations such as taking the dog out for a walk. Thank you, Philippe, for the interview. And we sincerely hope that the projects here in Thuin, the World Capital of Dogs, turn out to be a great success.